Renovation of the cholera treatment unit. 127 people were treated there between January and October. Distribution of 12,000 seedlings to farmers as part of a reforestation campaign. Deforestation is one of the major challenges that requires close collaboration with the local population to overcome and create conditions for sustainable development. A summer camp for 94 young people in the community, in collaboration with Cirque du Monde TM a program of Cirque du Soleil. Over 10 days, these young people gained knowledge in agriculture, local arts, and circus arts. They also developed self-confidence, a sense of collaboration, social engagement, and leadership. 200 women graduated from the Integrated Program, bringing the number of female heads of household on the road to autonomy through the creation of microenterprises to 550. Thanks to you, KANPE is able to continue its mission of standing with the most vulnerable Haitian families toward their financial autonomy. 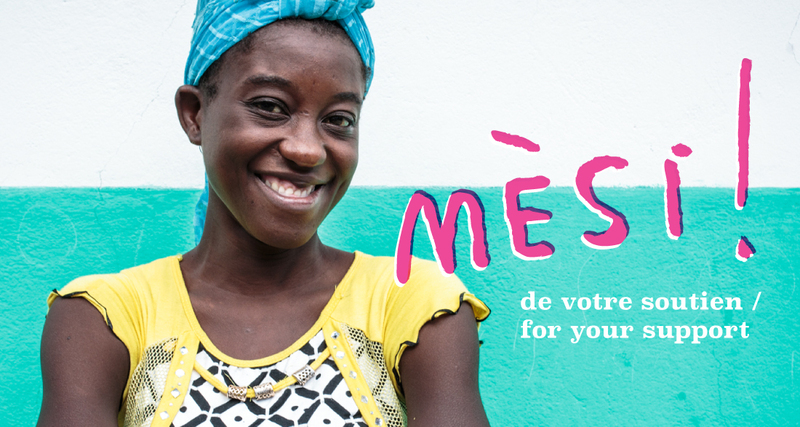 Mési anpil!